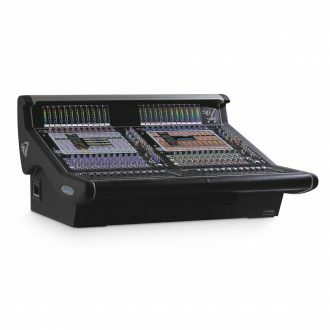 To get the most from the best in mixing console technology, you need the finest I/O rack available. 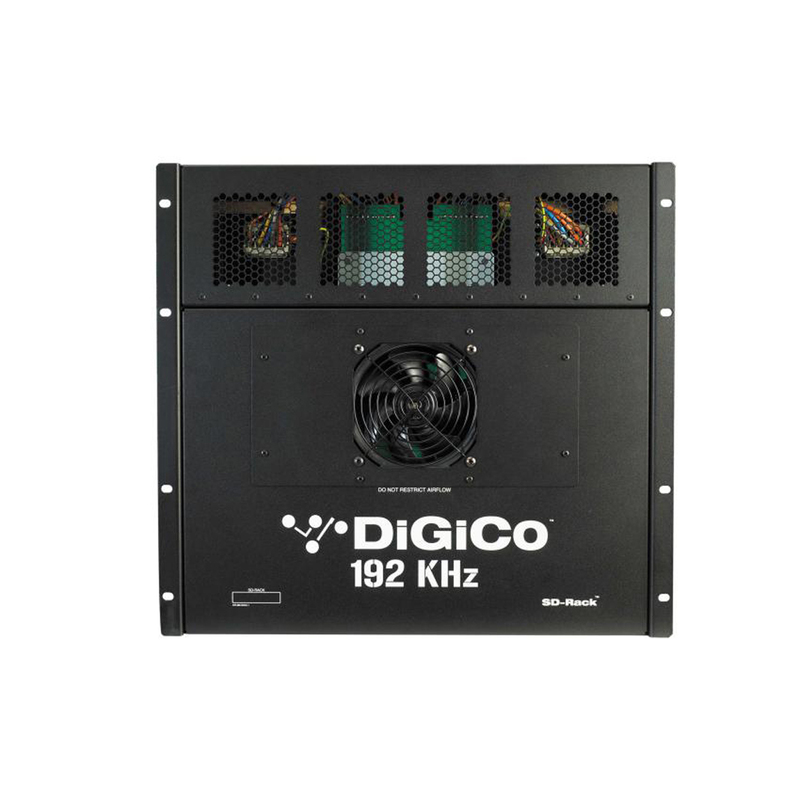 So meet the DiGiCo SD-Rack, delivering up to 192kHz high resolution analogue I/O converters and multiple digital formats including: MADI, AES, ADAT and Aviom. 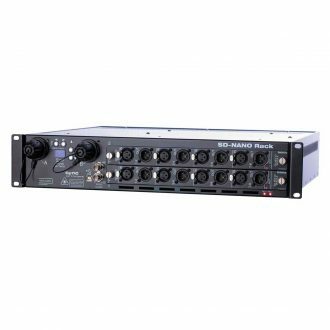 Based on nine years of digital touring experience with the D and SD Series consoles, we’ve completely redesigned the SD7’s new rack to provide a wealth of improvements to complement its state-of-the-art sample rate. 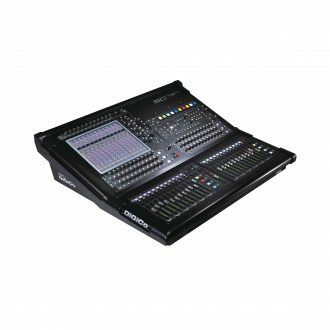 Based around the Stealth FPGA technology that delivers the SD7’s acclaimed sonic quality, the DiGiCo SD-Rack with Multiple Synchronous I/O is the ultimate upgrade for your SD7. 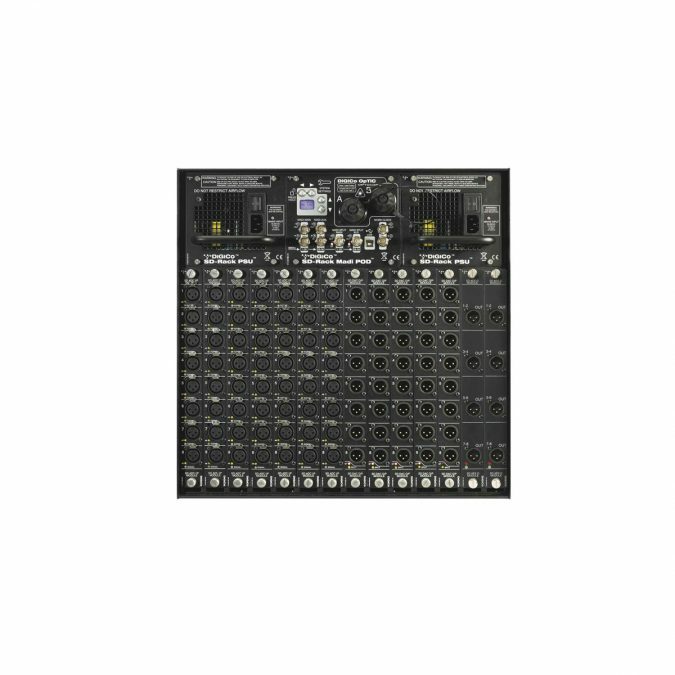 While the DiGiCo SD-Rack converters can operate at 192khz, you can also select other sample rate options for specific outputs – MADI at 48kHz for broadcast or recording feeds, for example, or 96kHz. 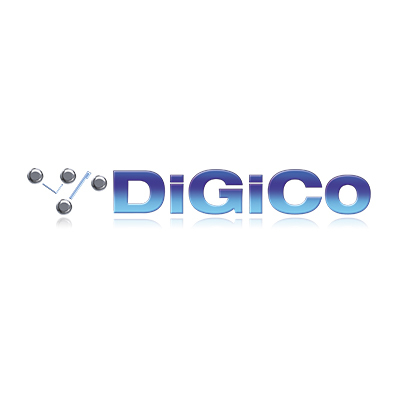 In other words, when used in conjunction with any SD console, the DiGiCo SD-Rack will serve you as a multi-sample rate signal splitter that even allows you to use our ultra-smooth microphone preamps to replace the standard mic preamps of an analogue or other digital console. 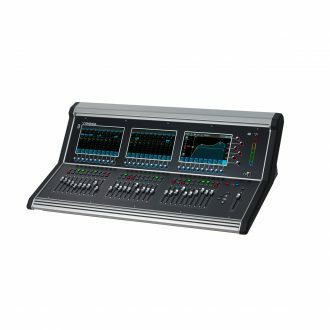 The provision of built-in Gain Tracking allows another console or a broadcaster to take any of an DiGiCo SD-Rack ’s AES, analogue, or MADI outputs at a stable level, irrespective of the microphone preamp settings on the SD console, covering a signal level range of +/-40dB. 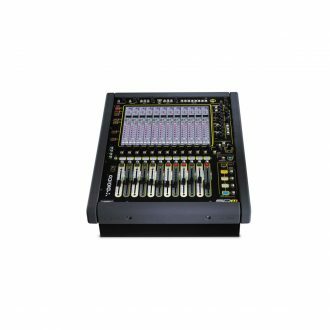 Splitting is also provided on the DiGiCo SD-Rack ’s analogue and digital outputs, allowing you to split the input signals directly out to, for example, an analogue or digital monitor console. Splitting and sample rate conversion is even offered on the two dedicated MADI SPLIT outputs. 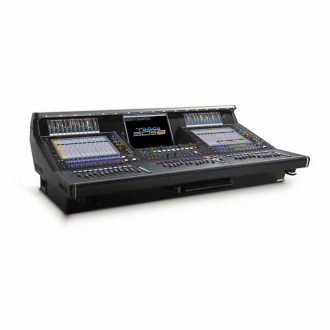 These facilities have become increasingly in demand on complex shows with a potential combination of digital and analogue consoles and broadcast feeds. 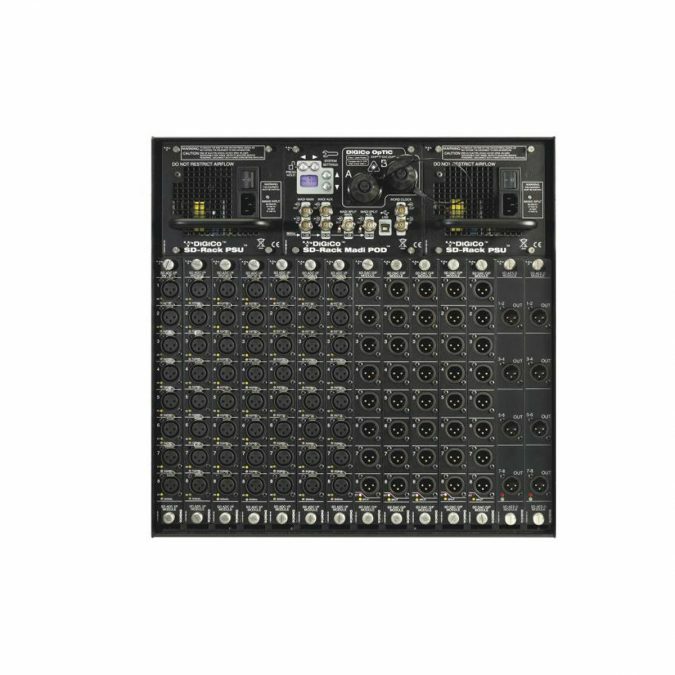 The Gain Tracking and Splitting features – switchable per I/O card – simply allow an audio team to select whether or not outputs should follow the SD consoles microphone preamp settings. Otherwise, you’ll find the familiar 56 input / 56 output arrangement, in blocks of eight, allowing you to populate the DiGiCo SD-Rack with the I/O cards to suit your application. These include analogue inputs and outputs, AES inputs and outputs, bidirectional AES input / output, AES-42, ADAT and Aviom. The cards themselves are hot-swappable, with the DiGiCo SD-Rack automatically detecting the card that has been plugged in, and further I/O card options are already in the pipeline for future development. 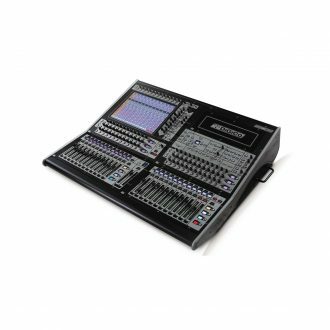 We’ve also taken the opportunity to turn the DiGiCo SD-Rack, quite literally, on its head. Reversing the previous design, the dual hotswappable power supply units, RGB backlit multi-function display, MADI and optical connections are now located at the top of the rack for fast access, above the I/O cards. The benefit? Your connector looms can remain in place near floor level, while the more frequently accessed components and control functions are right on top. Other useful touches are ‘48V present’ LEDs that light to confirm 48V is present per XLR. 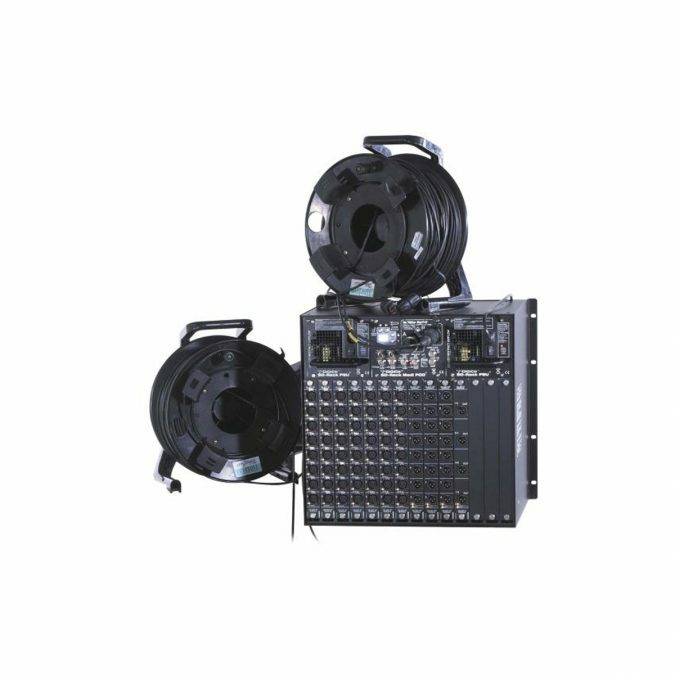 A further LED indicates signal present at each analog input, giving you a complete picture of activity on the DiGiCo SD-Rack itself. Audio connections to the console are completed by either a 2G Optocore optical connection or the dual MADI interface providing a MADI main and a MADI auxiliary input and output. 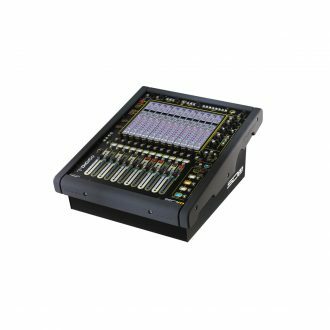 For even simpler setup configuration, the DiGiCo SD-Rack USB Port feature allows remote monitoring and control of all SD Rack settings with an attached PC or Intel based Mac.